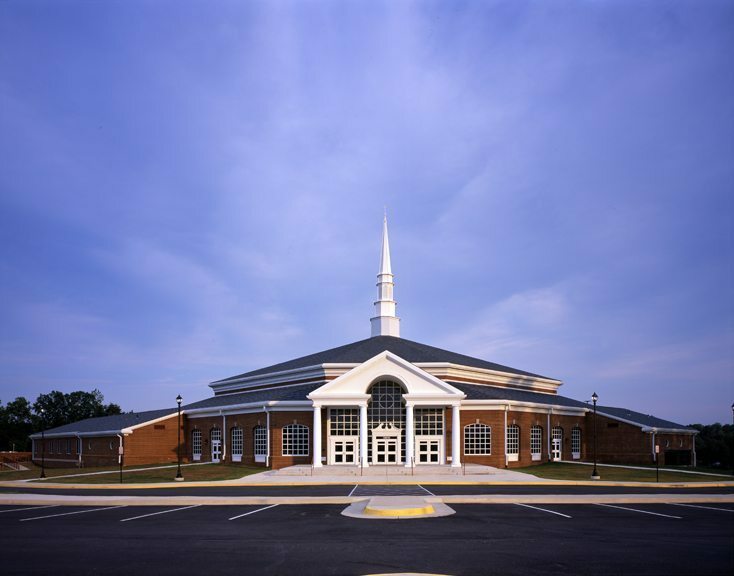 This growing church in the suburbs of Washington D.C. purchased a visible 25-acre site at the intersection of two busy roads and asked Helbing Lipp Recny Architects to develop a master plan for its new facility. 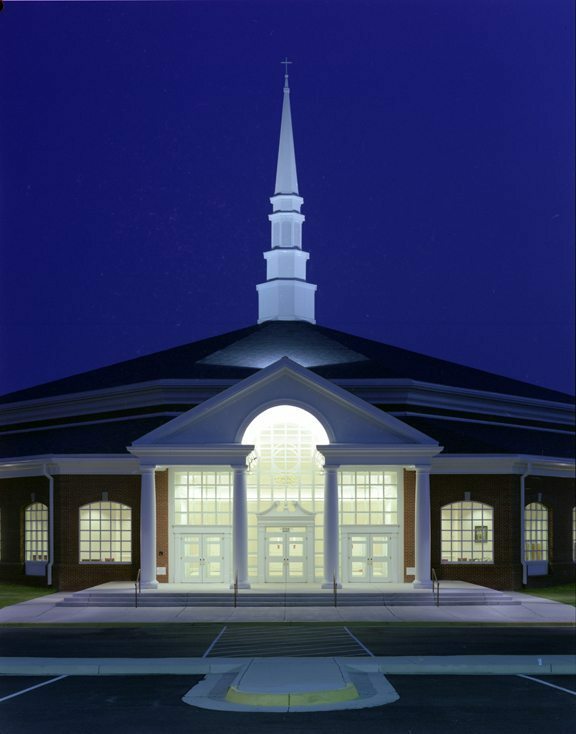 The first phase consists of a 60,000 square foot Georgian Colonial style building, including arched windows and a traditional steeple, and a prominent covered porch that faces the corner and establishes the church’s presence in the community. 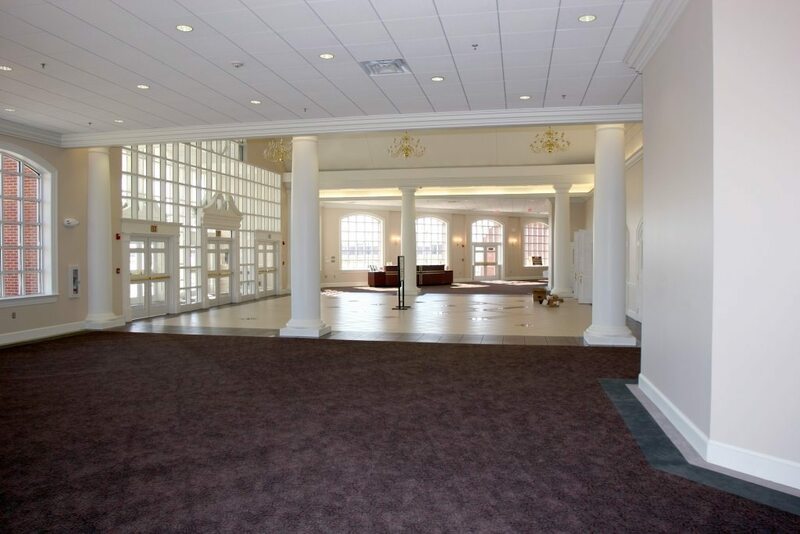 Once inside, the main level includes a large foyer/narthex space that is also used for dinners and other gatherings, a 1300 seat sanctuary with provisions for a future 400 seat balcony, a multipurpose room and a commercial kitchen. 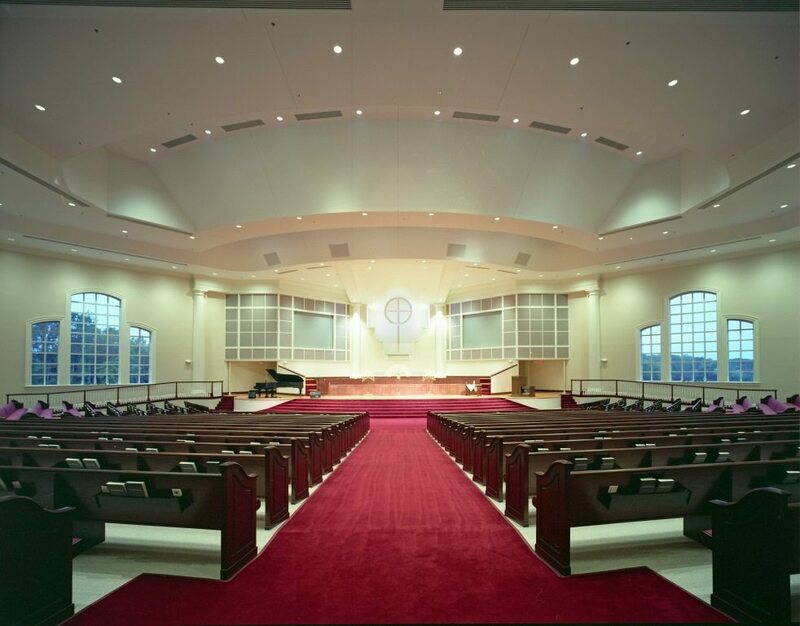 The lower level includes classrooms, nursery, and youth spaces, as well as the church’s offices. The sloping site allows for a convenient rear entrance that opens to parking that wraps around the rear of the property. Future phases include a gymnasium/multipurpose building on one side, and another classroom wing on the opposite side.